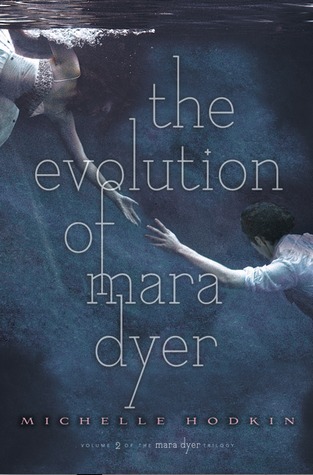 I was a little wary--yet eager--to dive into The Evolution of Mara Dyer because I didn't love The Unbecoming of Mara Dyer. While I wouldn't say I loved Evolution, I really, really liked it! Now that I knew more of the story--what's up with Mara, the sort of paranormal parts of it--things made sense and the book had a better flow from beginning to end. The trilogy as a whole is interesting, and this second installment was no exception. This book contains several bits and pieces that all add up to create Mara's evolution. It may seem kind of crazy, but that's kind of how the book--and Mara, in a sense--are supposed to be. After Mara was in an "accident," she started having all kinds of hallucinations, and her mind couldn't really be trusted. Noah isn't perfect either--he's got his own issues and paranormal problems. In the first book, I thought the first and second half didn't quite match up. However, now that I have a better idea of what's going on, the book matched up better and the way Mara and Noah functioned worked better. I don't remember straight up disliking anything in the book. My main problems were confusion and that some things were unrealisticish. I understand that it's not supposed to be realistic, but there were instances where I just wanted more in a scene, whether it just more happening, certain people to react, etc. Like in the first book, there was also confusion. This book contains some flashbacks (different from what Mara remembered in Unbecoming) and they were kind of weird. I'm sure they have a purpose and that it will be revealed in the third book, but without that I just don't know what they mean and what on earth was going on--and how it all adds up to the present with Mara and her family. One thing I liked in this book was the cast of characters--and there were several. Of course there's Mara, who doesn't seem to be quite right, and Noah, the asshat love interest that you can't help loving. I like how he helps balance Mara and is really the only person to, for the most part, truly believe her. There's her family, my favorite member being her brother Daniel. I would seriously read a book/story told from his POV. There's something about him--caring brother, smart, all around good guy--that I just really, really like. If he wasn't Mara's brother, I might be rooting for her to be with him. I was also fond of Jamie, who plays a bigger part than I thought he would. And, of course, there's the infamous Jude, who's not really dead--how the heck did that happen? I'm quite interested to see what happens with this living ghost in the next book. With Mara's inherent "craziness," she gets sent to a school for help. There she meets a group of "friends," only a few of which are actually, truly friendly. They were interesting because they were all so different and had different problems and things they brought to the table. I was also kind of surprised with everything that happened at Horizons, the school. It was definitely a crazy ride full of all kinds of crazy happenings. While I have a few problems with things making sense and matching up, I really like Hodkin's writing. 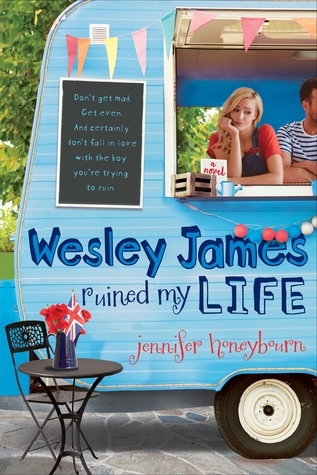 Her dialogue can be snarky, sarcastic, and witty, and her writing comes off as slightly poetic sometimes. It's very readable and can be done so quickly. It's fast paced, but I don't remember that being an issue to the story. I'd like to read something else of hers to see how her writing is there. Would I reread it? Quite possibly. Would I recommend it? If you asked me, yes. Great review! I'm a big fan of this trilogy and I can't wait for the next one. I agree with you that it can be confusing but I think that is one of the things I love about it, I'm really enjoying the whole unreliable narrator thing.